The video shows the phone with a tall panel with slim bezels and a thick forehead. The video also shows that when an app doesn't scale up to fill up the panel, there is a thick black bar at the bottom. The hands-on video doesn't add any new information about the phone. It's also not all that clear and parts of it is blurry. However, it doesn't refute previously available information as well. The video shows the phone with a tall panel with slim bezels and a thick forehead. The video also shows that when an app doesn't scale up to fill up the panel, there is a thick black bar at the bottom. 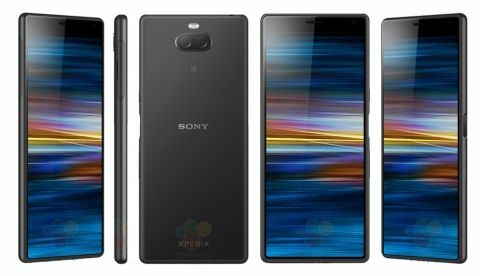 Sony’s CinemaWide display will reportedly have FullHD+ resolution of 1080x2560 pixels with screen sizes ranging from 5.9-inch and 6.5-inch, on the Xperia XA3 and the Xperia XA3 Ultra respectively, according to GSMArena.com. what is TRILUMNIOUS Display used in sony Xperia smartphone?